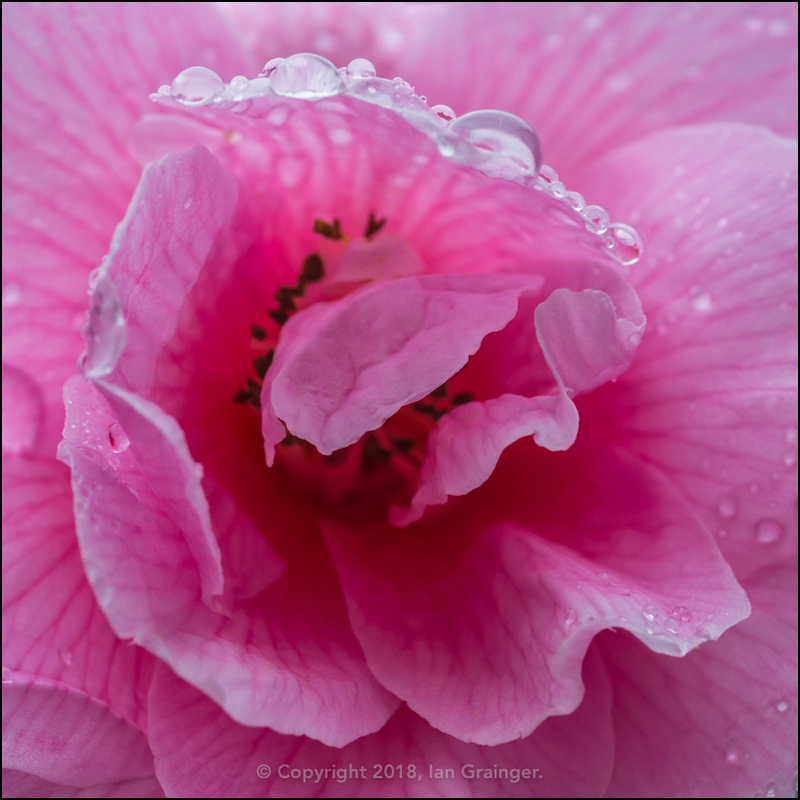 It was another miserable grey Sunday morning for my photo shoot this week, and it was also wet. Still, I didn't let that put me off, and went out in search of some interesting imagery. 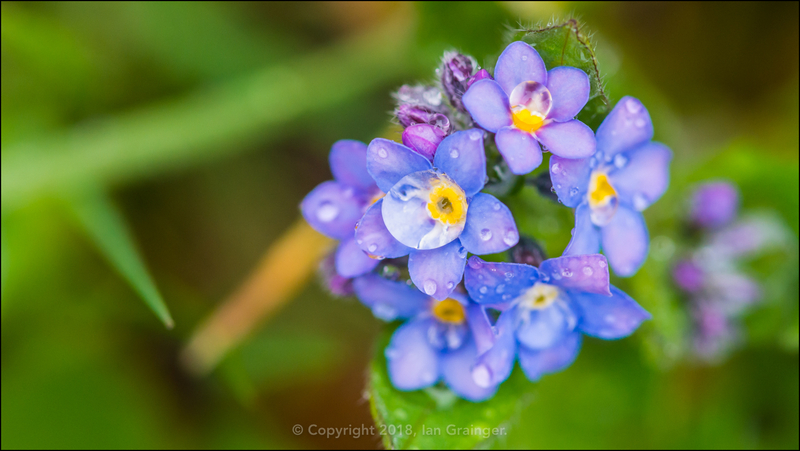 I loved how the raindrops were nestling in the centre of these tiny blue Forget-me-not (Myosotis) blooms, acting like small magnifying glasses. 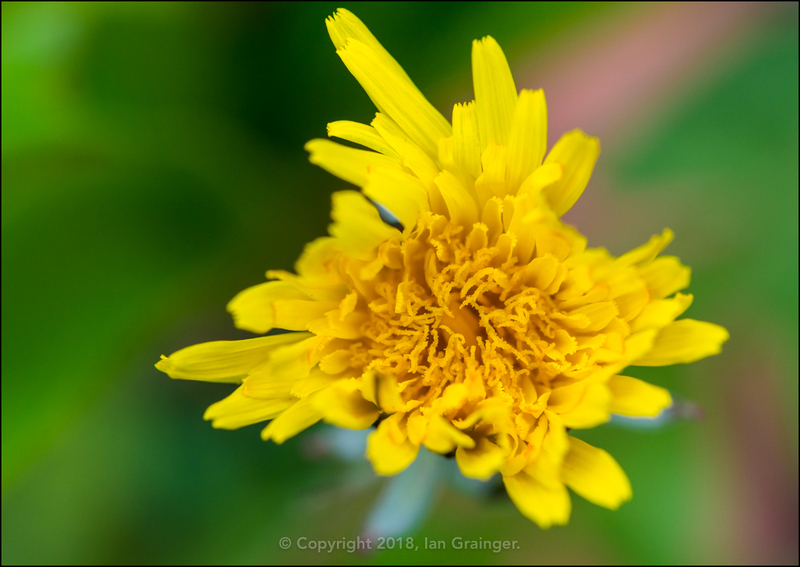 I soon came across the first Dandelion (Taraxacum) bloom of the year. This one had found its way into the greenhouse, hence it being dry. 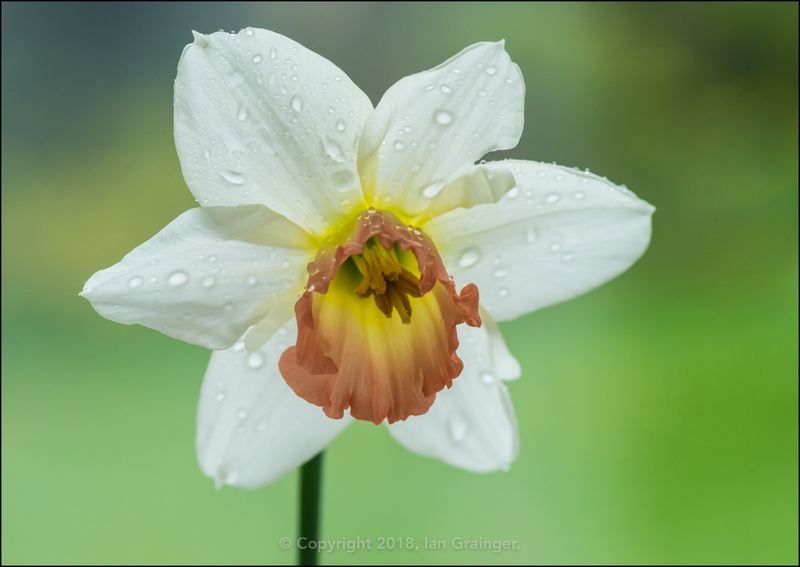 The Daffodils (Narcissus) continued to open apace, with this one being my favourite this week. 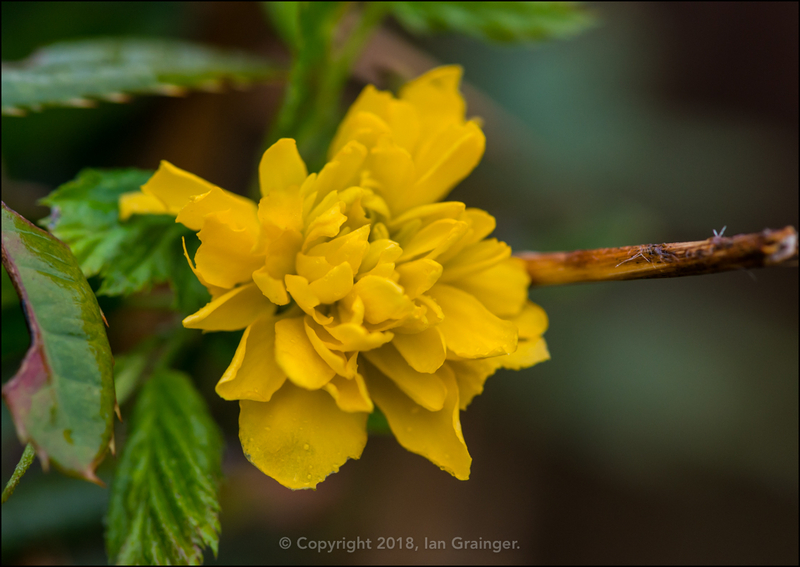 New blooms to the garden included this pom-pom like Japanese Rose (Kerria japonica). 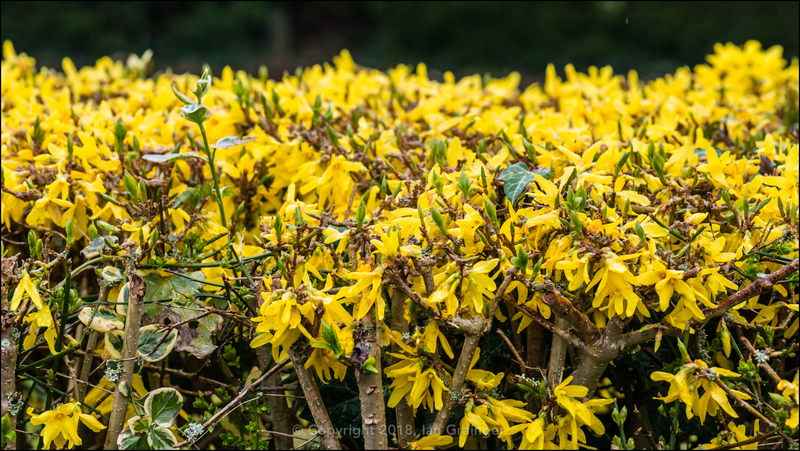 The bush was loaded with flower buds, of which this was the first one to open. 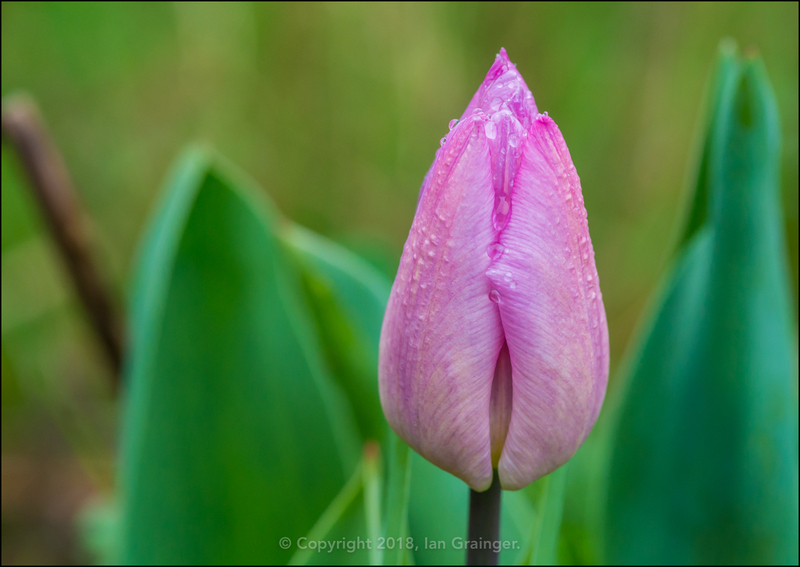 There were strange goings on with the Tulip (Tulipa) 'Queen of the Night' blooms. They are supposed to be a very dark purple, almost black colour. 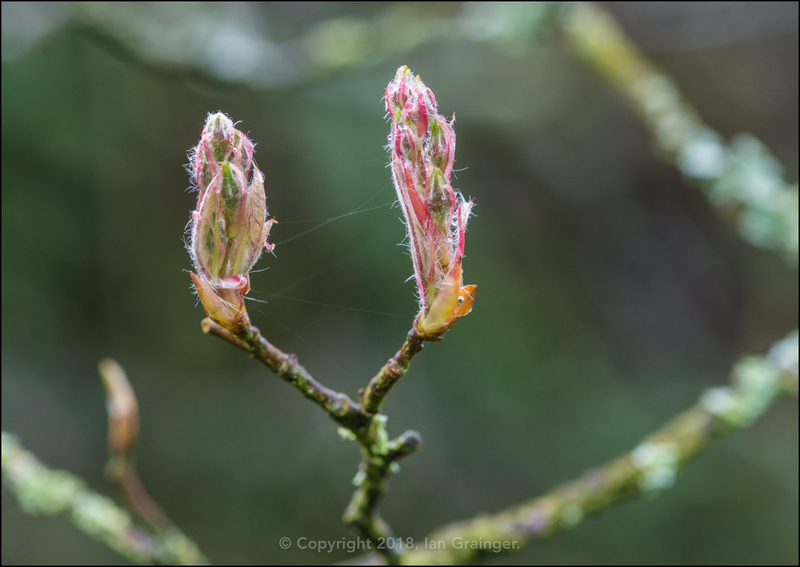 However, this year they had returned very pink looking. 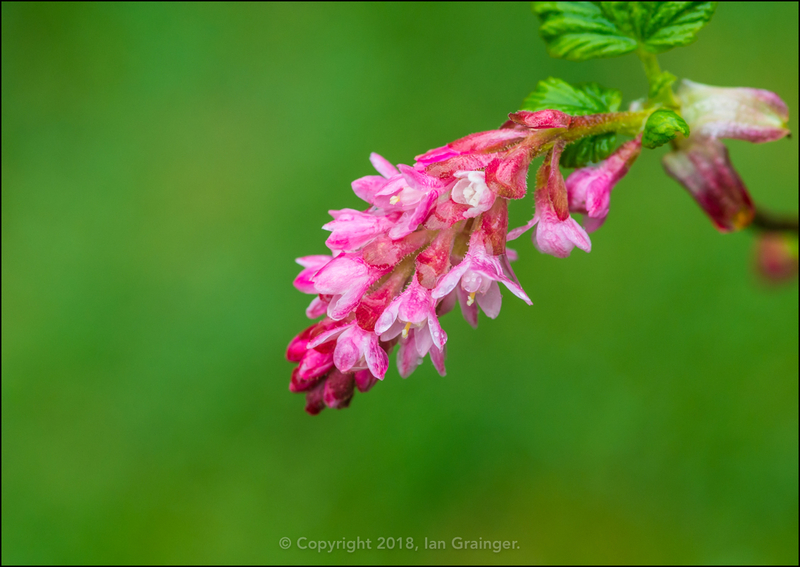 Something that was supposed to be pink were the Flowering Currant (Ribes sanguineum) blooms, which were just beginning to open. 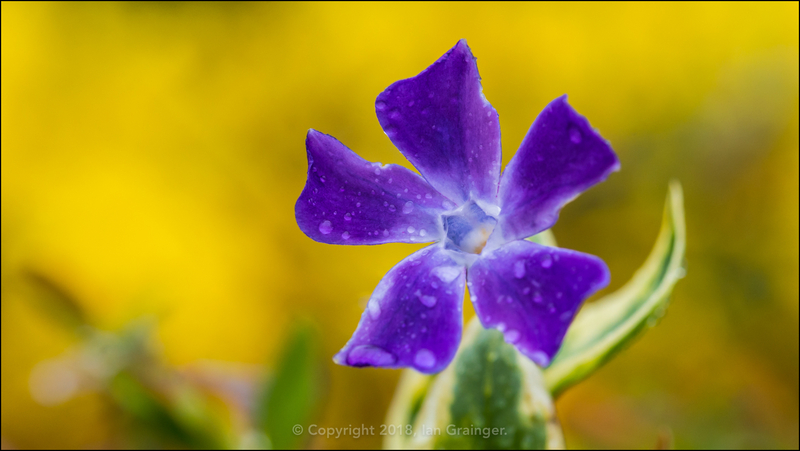 ...making it a perfect foil for the lovely dark purple Periwinkle (Vinca) blooms. 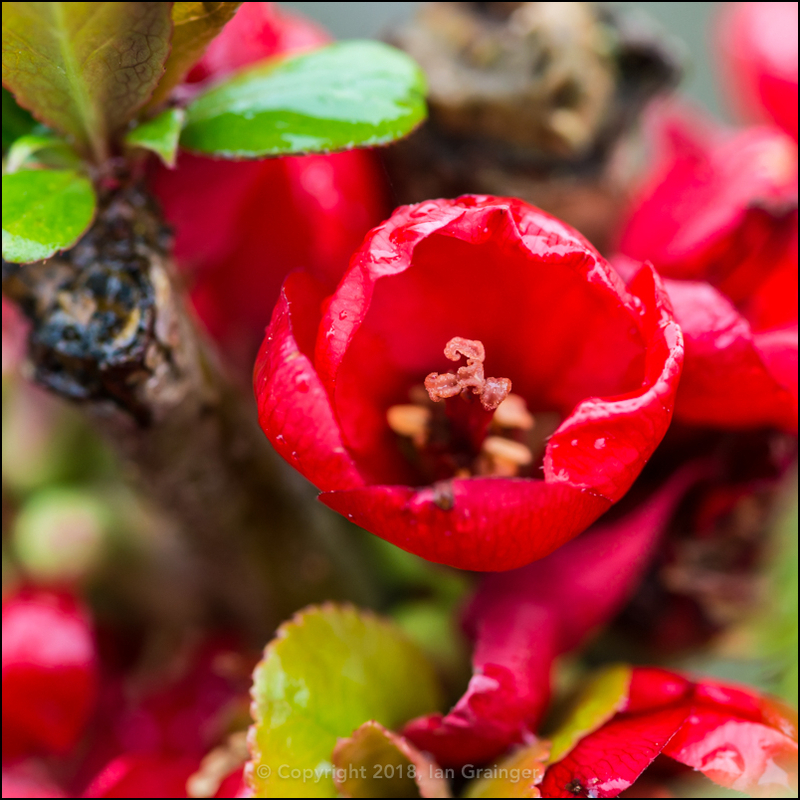 ...as did the marvellous Camellia bush. 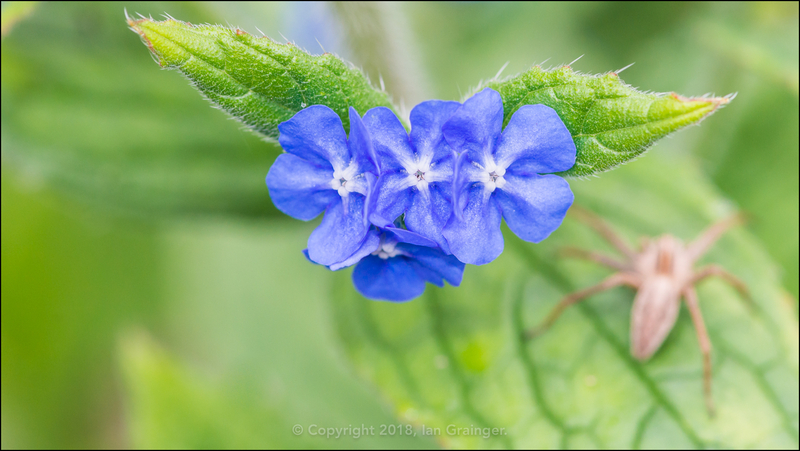 It wasn't until I was processing this image of a trio of Green Alkanet (Pentaglottis sempervirens) blooms that I spotted the eight legged critter lurking in the background! 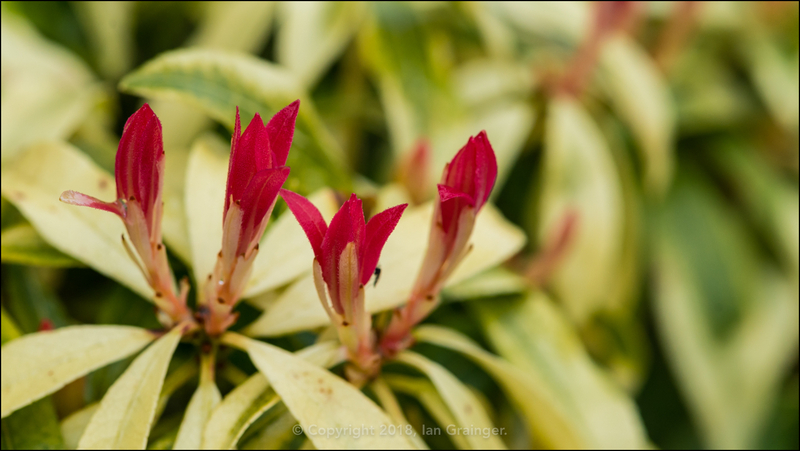 ...along with the formation of the first red leaves, which give the bush its name. 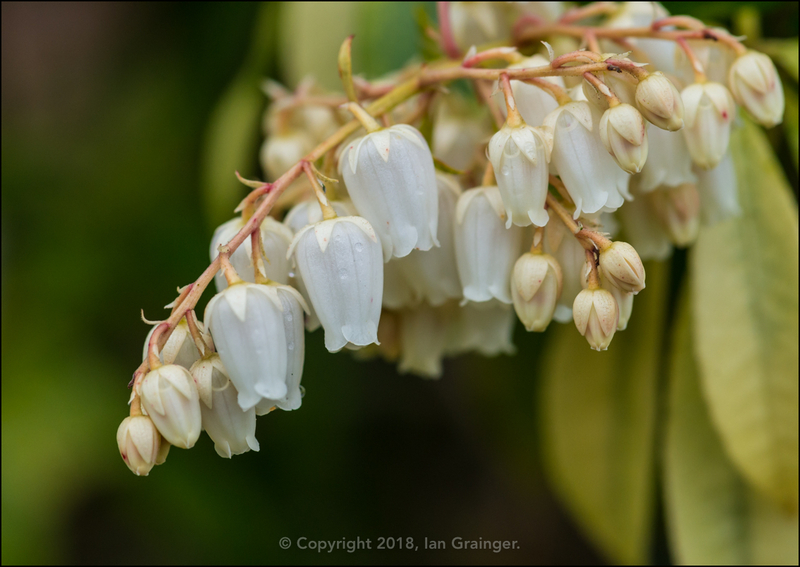 The Amelanchier tree would soon be in full blossom, but I was hoping it would wait until the rain had stopped, as the blossom is quite delicate, and is quickly dislodged in a heavy downpour. 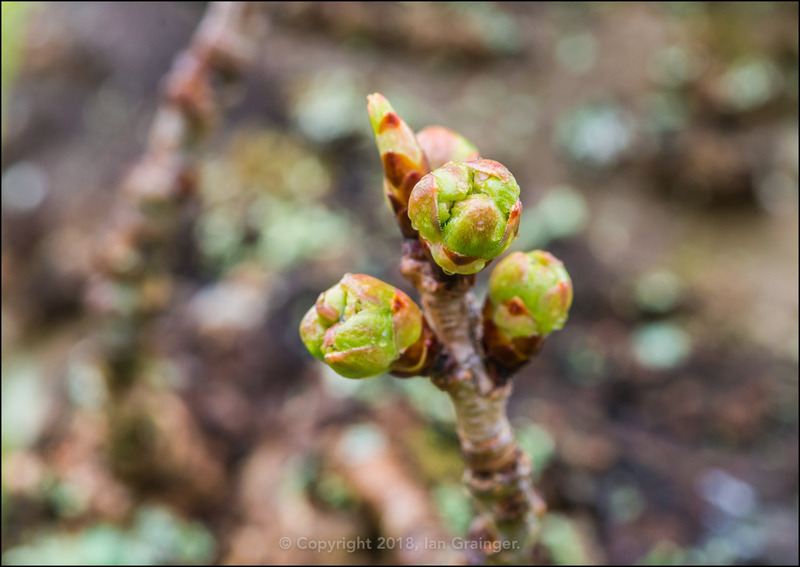 Exciting times were ahead with the first signs of the Cherry Tree (Prunus) coming back to life, with the formation of the first few flower buds. Finally this week, we go from the wet outside, to the wet inside, and my fishy friends. 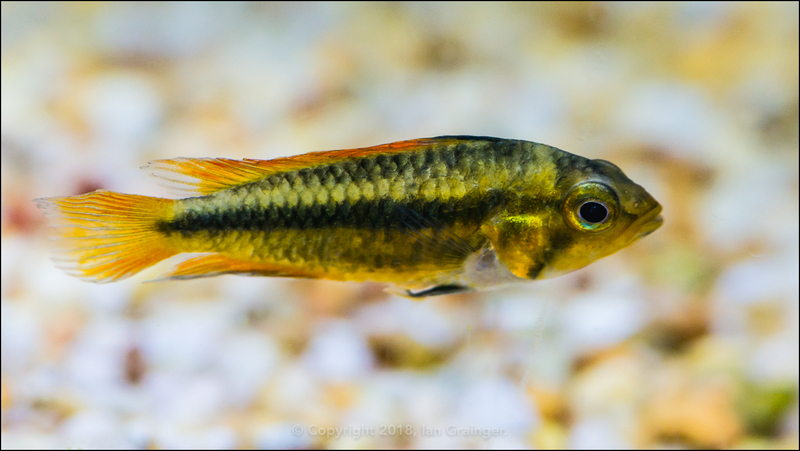 You may remember that a month or so ago I posted a picture of my male Cockatoo Dwarf Cichlid (Apistogramma cacatuoides) - now named Colin! Well, I finally managed to get a decent photo of the female, called Polly, who is a lot smaller, and a lot less colourful.